This Western hat features a tall, center-creased western crown and a broad, upswept brim. 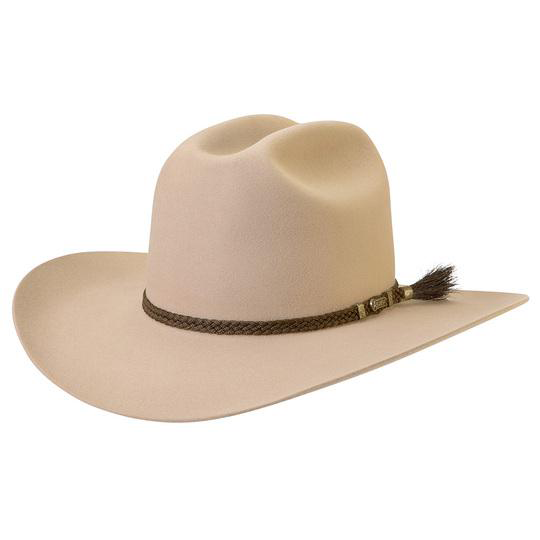 Traditional American style designed for the Rodeo circuit rider. 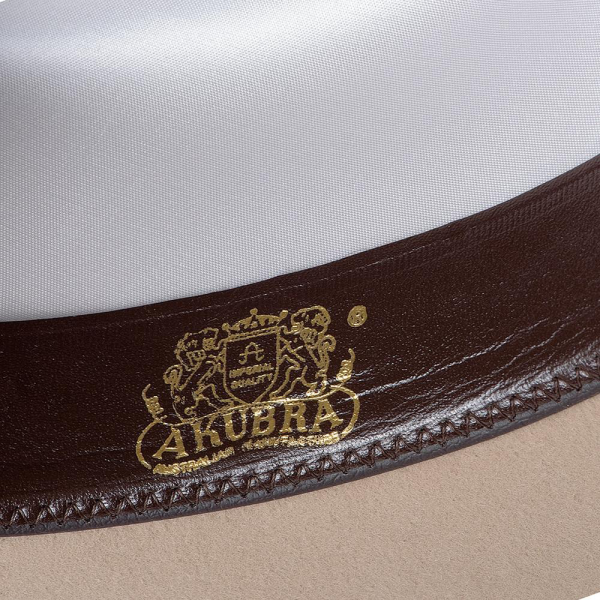 The Akubra factory will be closed for 2 weeks over Christmas. Orders will be postponed and will not be sent out until 12/1/19 after the factory has reopened. 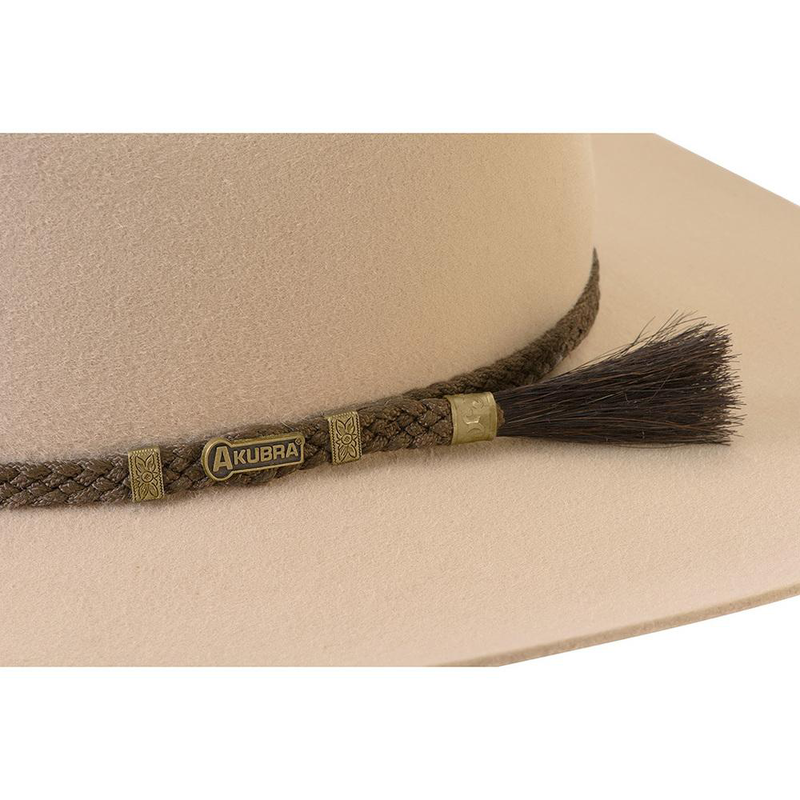 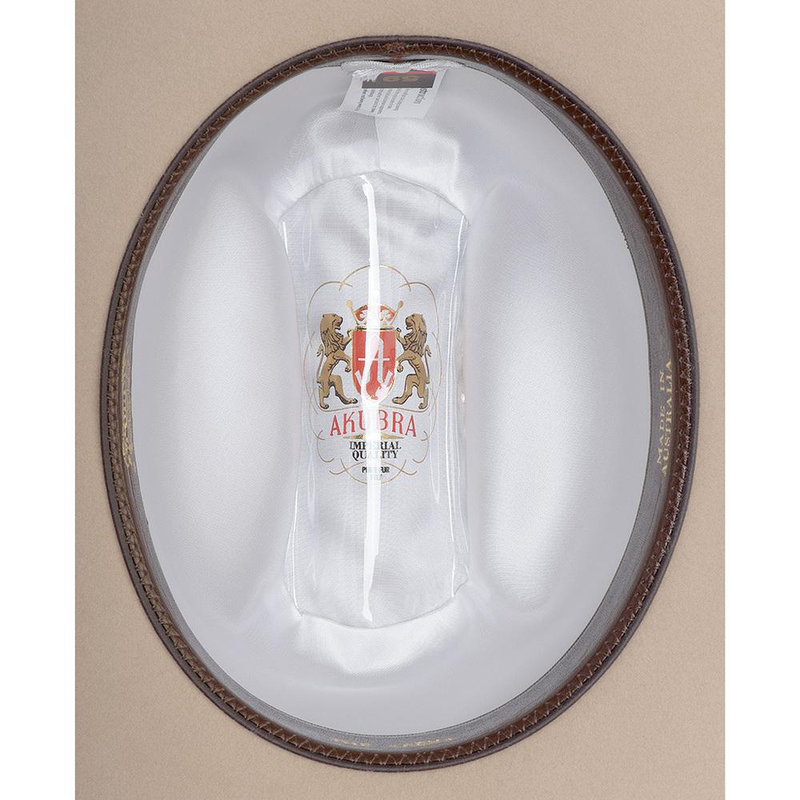 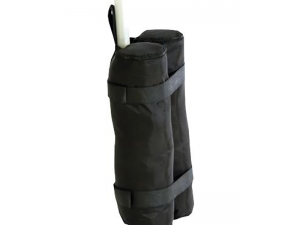 Features a braided horse hair tail band and satin lining. 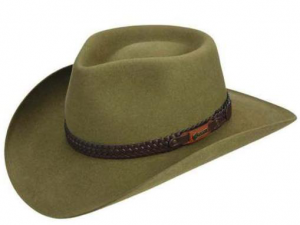 Akubra hats are made with the best fur felt available. 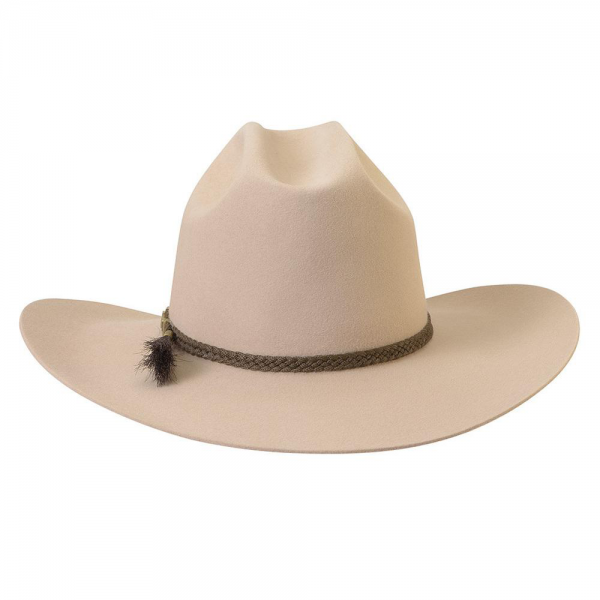 Because of its tight weave and strong fabric, the Akubra’s fur felt brim is one of the best ways to protect yourself from the harsh Australian sun. 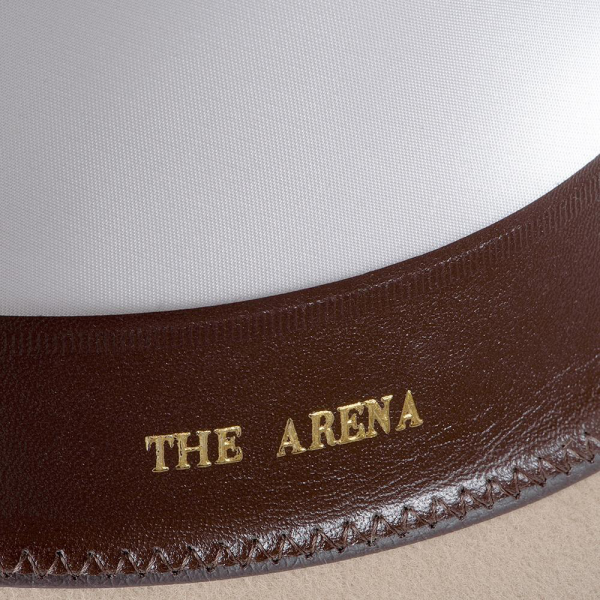 Every fibre is interlocked in every direction with a number of other fibres, making it durable and resistant. 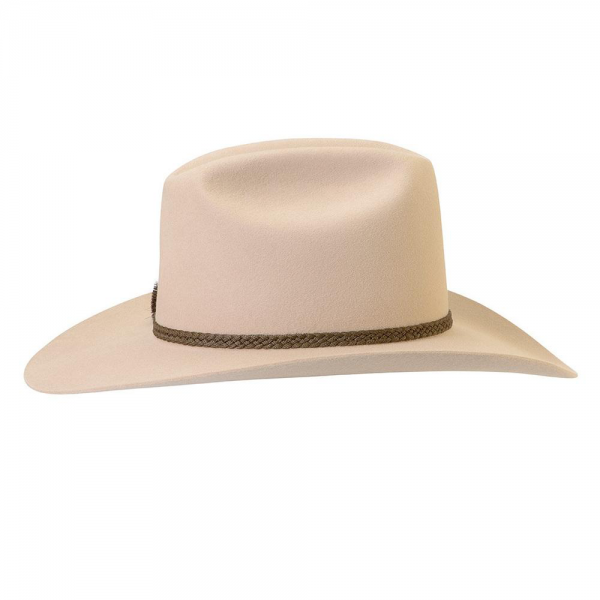 Akubra hats are currently rated at UPF 50+, greater than many sunscreens available, and as such are classified as excellent sun protection under the UPF classification system. 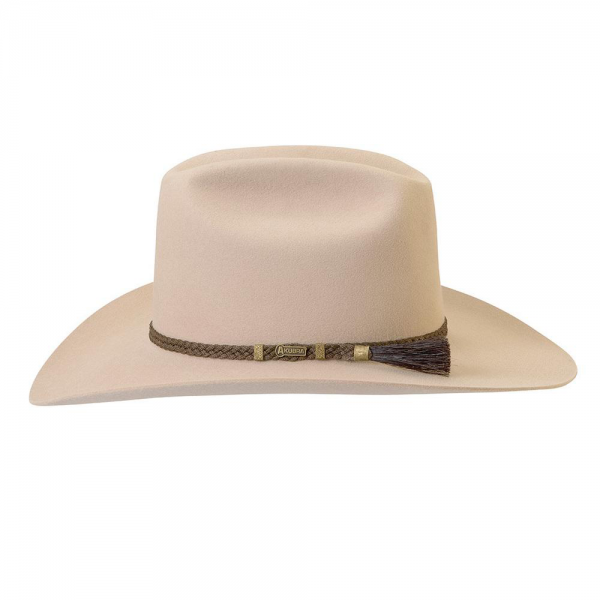 Over 130 years, Akubra hats have become synonymous with the Australian outback. 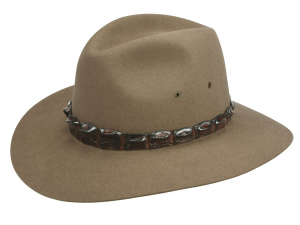 Now considered an important part of the Australian national ‘uniform’, the Akubra is famous worldwide, not only worn by the hardworking men and women who work the land, but presented as national gifts to visiting dignitaries who want to bring a piece of Australia home. The Akubra brand have now developed a large range of hats – meaning there is a type available for every outdoor adventurer. 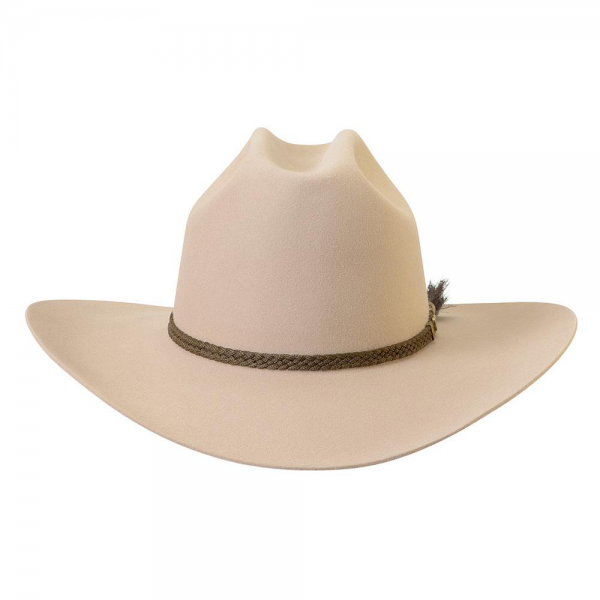 To this day, Akubra hats are still one of the highest quality hats available and 100% Australian owned and made. 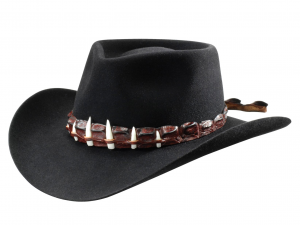 *Note: Colour of hat may vary from the picture.